In the third part of Building a Document Management System with Sharepoint 2010 we are going to extend content type columns, so from now we will be able to create our custom columns for the documents. This part will be very useful for people want to extend the columns or metadata to the next level where a high level of customization is required. 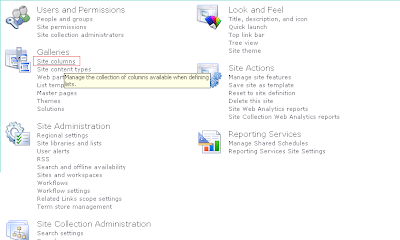 Remember The availability of a site column follows the site hierarchy in SharePoint, which means that a site column is available on a site and all sites beneath that site. 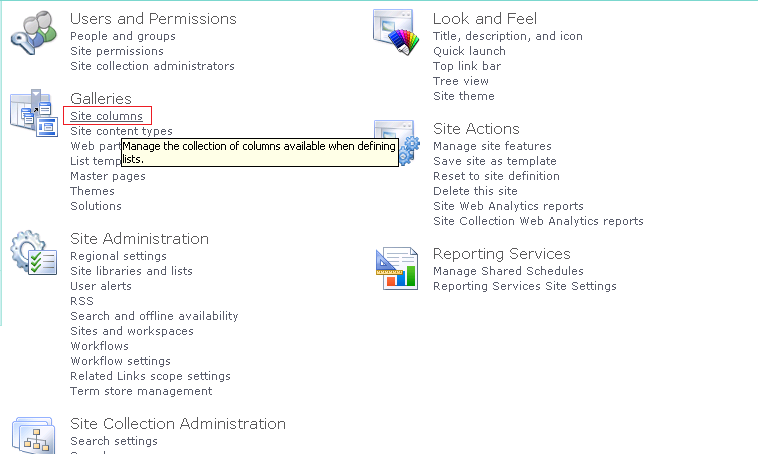 A site column is not available on SharePoint sites above the site on which the site column is created. 2- On the Site Actions menu->Site Settings->Site columns. 3- On the Site Column Gallery page, click Create. 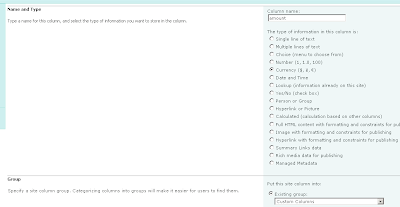 4- On the New Site Column page, enter a Name, "amount" and select a Type for the site column, "Currency". 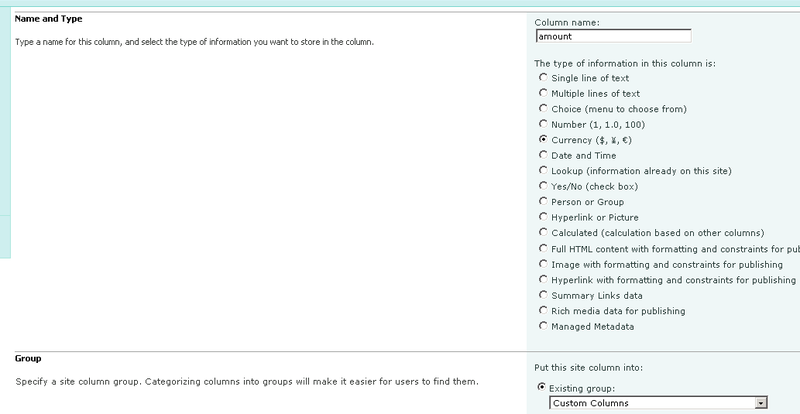 5- On the New Site Column page, select Custom Columns from the Existing group drop-down list box. 7- On the Site Actions menu->Site Settings->Content Types. 9- Click on "Add from existing site columns". 10- Select on "select columns from:"-> Custom columns and then select amount. You can add it now. Click ok.
11- Your new column is ready to use!. This tool is even more powerful than the out-of-the-box columns, but be sure you plan everything properly before using it, you could end having few surprises.